If there's a way to capture and share the essence of spring, surely this is it. 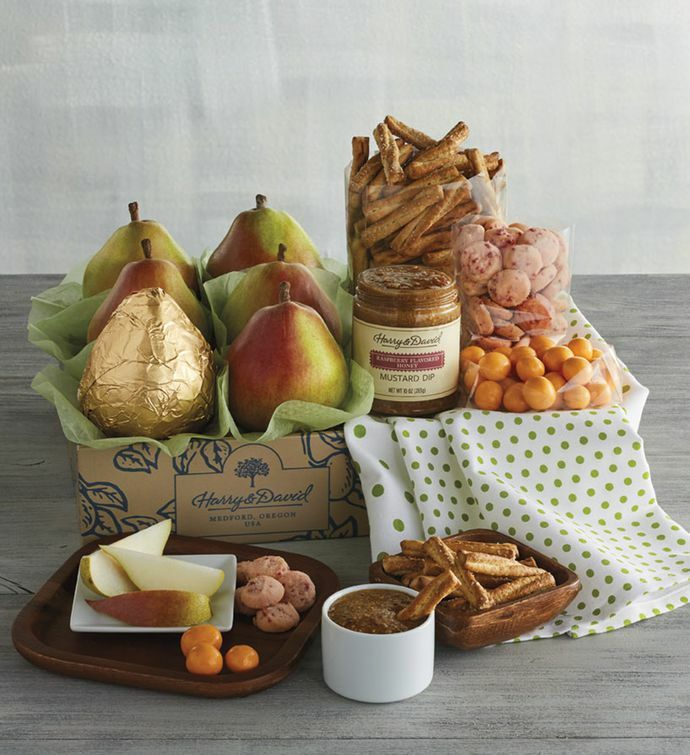 Our juicy pears, honey-wheat pretzels, and raspberry honey mustard dip are alive with seasonal flavors. And the lemon raspberry button cookies and chocolate-covered apricots are as sweet as a springtime breeze. We've even included a charming, polka dot-patterned towel to freshen up the kitchen.